Meet Joe Black visits The Wonder Years in the true story of DOG WATER FREE by debut author Michael Jay. It chronicles the journey of a boy named Mikee, whose coming-of-age search for emotional truth lands an orphan from the unlikely side of Detroit front and center before England’s Queen, America’s Maestro, and the first non-Italian Pontiff in more than 400 years. 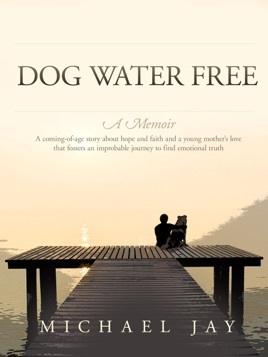 A family saga at its core, DOG WATER FREE is an uplifting story of discovery that celebrates a remarkable hero in the person of an ordinary mom who is thrust into an extraordinary situation in a neighborhood of the city she loves. Mikee is eleven when his world turns upside down as his mom shares news from her doctor. She has a year to prepare her family for her death. Her passing will leave the man she loves and the four children she cherishes alone to fend for themselves. “At least you’ll always have your dad,” she tells them. Still on her mission fifteen months later, her focus heightens when her husband drops dead. With that, Mikee's improbable coming-of-age journey begins.